As of 2013, about 1.2 billion people are categorized as extremely poor and are living on less than US$1.25 a day. Combined with those who live on less than US$2 a day, 2.4 billion people live in poverty, or about one-third of the world’s population. Many of these people suffer from illnesses but are unable to receive proper medical care or the medicines they need. The issue of access to medicines is that proper medicines and medical treatments are unavailable to patients in need for reasons of poverty, underdeveloped healthcare systems or other factors, particularly in the context of high-growth emerging countries and the developing world. Medical and pharmaceutical products have played an important role in the attempt to achieve global health (see Study Note below), which aims to improve health standards and reduce health disparities on a global level. To ensure that medicines are made available to all patients in need, a mechanism is required for the smooth distribution of high-quality, safe pharmaceutical products and for the promotion of their effective use. It is also extremely important to establish basic infrastructure such as medical facilities and insurance systems. In order to improve access to medical and pharmaceutical products, it is necessary to promote the drug affordability and availability, adoption, and support for medical infrastructure. Achieving these priorities necessitates a collaborative approach among governments, the private sector, and the academic community (see chart below). To improve access to medical and pharmaceutical products, it is essential to promote the affordability of these products, their availability, and their appropriate use by patients as well as to improve the medical infrastructure that facilitates that promotion. Source : Laura J. Frost & Michael R. Reich, Access, Harvard Center for Population and Development Studies, 2008. It would be difficult for any company or a country to solve the issue of access to medicines alone. Recognizing this, access to medicines has been continually addressed through partnerships among governments, pharmaceutical manufacturers, international organizations and nonprofit organizations (NPOs). The following “three D’s” are important for promoting these partnerships. Source : Christopher J. Elias, Policies and Practices to Advance Global Health Technologies, A Report of the CSIS Global Health Policy Center, 2009. In developing countries, mortality rates for pregnant women and infants remain extremely high due to poverty and weak health and/or medical systems, posing a major social problem. One issue that demands an urgent solution is the cause of short average life expectancies in developing countries. The Millennium Development Goals (MDGs), set out in 2000 as goals for the international community in the 21st century, include reducing the mortality rates of infants and pregnant women. According to The State of Food Insecurity in the World 2012 compiled by the Food and Agriculture Organization of the United Nations (FAO), in 2008 one out of eight people suffered from chronic malnutrition. The vast majority of these people live in developing countries, and malnutrition continues to grow in sub-Saharan Africa even today. Malnutrition has been a major cause of over 100 million children under five years being underweight, with some 2.5 million of that number dying prematurely every year. The MDG for malnutrition is to reduce the percentage of the population suffering from hunger to 50% of the 1990 figure by 2015. One issue of the utmost urgency is the control of the Three Major Infectious Diseases: HIV/AIDS, malaria, and tuberculosis. Statistics show that 3.5 million people worldwide (as of 2012) die from one of these three diseases every year. This creates an epidemic in many developing countries where people do not receive proper medicines or medical care due to poverty, resulting in these diseases spreading further. The MDG in this area is to arrest the spread of these diseases by 2015 and consequently reduce the number of the infected population. In many developing and emerging countries, health/medical insurance systems are underdeveloped. Even in countries where health insurance systems are advanced, the number of subscribers remains small compared with industrialized countries, and the coverage of these systems is still very limited. For these reasons, the ratio of patient’s co-pay for the cost of health care in those countries remain high, resulting in a great number of people who do not receive medical treatment. Also, the gap between cities and rural areas in terms of medical facilities and medical services is a serious social problem (see chart below). Improved access to medical treatment and medicines is another pressing global issue. A health care system is how a state provides its people with medical treatments and healthcare services. The chart below summarizes the targets of some nations for their healthcare security system, measures to aide people with low incomes meet their healthcare needs, and health/medical issues in their respective countries. The entire population, in principle. The rapid aging of society has pushed up healthcare costs for Japanese people every year, greatly impacting the nation’s finances. Two-tiered health care system: one targeting the aged and the handicapped and the other one for low-income individuals. In 2013, the Obama administration launched a regulatory overhaul of the U.S. healthcare system (sometimes called Obamacare), making health insurance mandatory for U.S. citizens. While the United States maintains the Medicaid system for those with low incomes, the stringent qualifications have kept enrollment low. Furthermore, coverage has limitations beyond which individuals have to bear the costs themselves, creating a hurdle for the poor to receive proper healthcare services. Some people with low-income are not eligible for Medicaid but cannot necessarily afford private health insurance, thereby creating a demographic of uninsured citizens. Only public officials are eligible, in principle. Since there is essentially no social security system in India, all healthcare costs are paid for by patients. 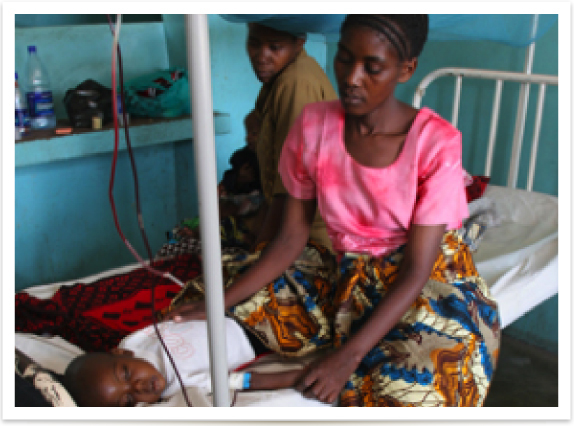 Due to the overwhelming shortage of healthcare facilities, many people are unable to receive adequate medical care. Although some private healthcare facilities provide low-income patients with free hospitalization and medical checkups, these facilities are concentrated in the cities. Although private health insurance is available, it is so expensive that only a small portion of the Indian population can afford to subscribe. There is a wide gap between cities and rural areas in terms of the quality of healthcare facilities and healthcare services. In many rural areas, local health/medical services are handled by volunteers and healthcare workers, making it nearly impossible for local people to receive effective medical care. In principle, health insurance for all citizens is required by law. Although the overwhelming majority of the population is covered by health insurance, participation rates fluctuate with the type of policies. The Philippines has a “sponsored program,” where the health insurance premiums of some low-income citizens are covered by governments at the national and local level in order for these people to receive medical treatment. A shortage of doctors and nurses in some local regions poses a serious problem. Broadly speaking, Indonesia has government health insurance systems for those with low income, for workers, and for public servants, overall covering about half of the total population. Indonesia has a health insurance system for low-income individuals funded by the government. While beneficiaries of this system are exempt from paying for the cost of hospitalization and outpatient services, the services that they can receive are limited compared with those of public servants and workers. Since Indonesia has no health insurance system for self-employed individuals or farmers who are not classified as low-income earners, and because private health insurance is expensive, about half of the population is currently not covered by health insurance. Although healthcare costs have increased year by year in recent times, the percentage of the budget that the government can allocate to healthcare services has been controlled and this hampers the effectiveness of healthcare facilities and provision of healthcare services. Since private hospitals are concentrated near cities and healthcare costs at private hospitals are quite expensive, only the well-off typically stand to benefit from these facilities. A health care system is how a state provides its people with medical treatments. The chart below summarizes several nations’ targets for their medical security systems, measures for aiding people with low incomes, and health/medical issues. In addition to the three major infectious diseases : Malaria, HIV/AIDS, tuberculosis （see Study Note above）, a large number of other diseases have created social problems in many developing and emerging countries. Of these diseases, the most prominent are the neglected tropical diseases (NTDs) in terms of economic loss. NTDs are epidemic in 149 countries and territories around the world, with some 1 billion people currently infected with an NTD. The economic impact from these diseases has been enormous. For instance, blinding trachoma has cost more than US$2 billion, lymphatic filariasis more than US$1 billion, and Chagas’ disease more than US$1 billion each year. Poverty is a major factor behind epidemics of NTDs. In fact, when an NTD becomes epidemic due to poverty, the increase in the number of people with infectious diseases leads to further poverty, thus creating a negative spiral. Many people become incapacitated because of the symptoms of the diseases or their after-effects; in serious cases, they result in death. This in turn leads to a decline in the country’s work force and productivity. Improving access to medicines and taking effective measures against these diseases therefore lead to the long-term alleviation of poverty as well as to economic growth (see chart below).